Your Expert Dentists in Peterborough! The practice of Lakeridge Dentistry started in Peterborough over 30 years ago and has been at the same location ever since. While the practice has passed through several hands over the years, it is now owned by the husband and wife team of Dr. Jyoti Datta and Jitesh Datta. General, restorative, and cosmetic dentistry services are all readily available from our experienced dentists. Peterborough families can find customized treatments for all ages from first dental cleanings for young children and Invisalign® for teens to crowns for adults and dentures for seniors. Our experience allows us to take on a wide range of services, customizing them to fit our patients dental health needs. Obviously, not everyone is keen on visiting the dentist. For some, they’ve maybe had a bad experience at some point in their life. For others, there just never seems to be a good time to book an appointment within their family’s busy schedule. We understand, and we empathize. 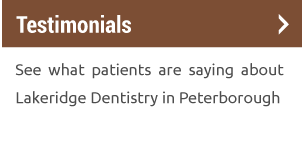 Lakeridge Dentistry in Peterborough always welcomes new patients. We’re here to alleviate any and all concerns you may have. Whether it’s been years since your last visit, or you’re here at the clinic on a regular basis, your health and well-being is always our number one priority. We make no judgments based on the frequency of your dental visits. Throughout our years in the community, we’ve discovered that no two patients are ever the same. As such, we respect each individual’s comfort level, time and privacy. The goal of our staff is to put your mind at ease. Ideally, we want you to look forward to your next appointment. Who doesn’t feel better after getting a fresh haircut? At Lakeridge Dentistry, we feel the same should be said of regular teeth cleanings by your go-to neighbourhood dentist in Peterborough. Avoid the stress of not knowing why your back tooth aches whenever you drink something cold. Eliminate the risks associated with delaying those much-needed checkups. Enjoy the confidence that optimum oral health affords. 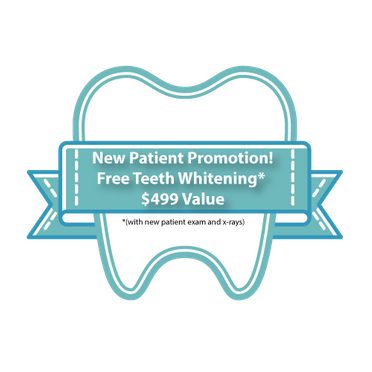 Show off your smile knowing that your teeth and gums are in pristine condition. We welcome visitors to browse our website to learn more about the full range of dental services we provide. Our entire team is here to ensure that the process of arranging for your dental care is streamlined, convenient and personalized for you. From handling the insurance end of things to finding a time that best suits your schedule, we strive to go out of our way in terms of providing customer service for all of our patients. Whether you’re a senior citizen or you’ve just lost your first tooth, Lakeridge Dentistry assists families and patients of all ages with comprehensive dental care. Our team believes that good oral health begins with open and honest communication. 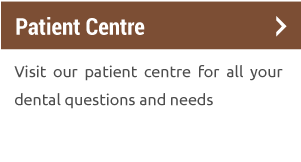 Our clinic will walk you through every step of the treatment process to ensure that you are well informed of all the aspects involved. If you have any questions about the specific services we offer, or how the administrative side of our clinic works, we pride ourselves on our willingness and ability to answer all of your questions. Cavity prevention – Routine cleanings help remove buildup of plaque and tartar as well as reach areas your own toothbrush may have missed, preventing cavities. Gum disease detection – If plaque and tartar are left to accumulate on your teeth, it can lead to tooth decay and gum tissue erosion. A routine checkup not only removes plaque and tartar, but can catch the early signs of developing gum disease so treatment can be prescribed. X-rays to check for hidden problems – Not all oral health problems can be seen on the surface. Some issues may include impacted teeth or damage to the jawbone. Some issues may not show symptoms on the surface, so a routine x-ray can provide early detection. Cancer screenings – A dentist can detect abnormalities in your mouth as well as recognize the signs and symptoms of early onset oral cancer. By scheduling routine checkups, the likelihood that oral cancer will be caught in time for treatment is much higher than if you go without seeing your dentist regularly. Head, neck, and lymph node examination – Your dentist will also check your neck, jaw, and lymph nodes beneath your jawline for swelling or lumps. An abnormality could be a sign of a serious health issue. If your dentist catches it during a routine visit, they can recommend you to a doctor or specialist who can address the problem. Of course, anything can happen between checkups. 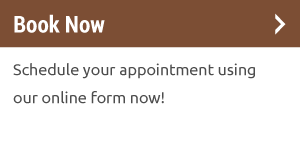 Why wait for your next scheduled appointment? If you’re experiencing pain or discomfort with your teeth or gums in any way, we encourage regular visitors and new patients alike to get in touch with a dentist in Peterborough right away. Delays in such matters will only make the situation worse. Your teeth are much too important to jeopardize. Office hours – Does the dentist offer a schedule that is convenient for you and your family? Location – Where the dentist office is located is important. It shouldn’t be too far out of your way. Education – It’s important that your dentist keep up with the changes through continuing education workshops. Dental staff – The dentist doesn’t work alone. Be sure to find an office whose staff is friendly and helpful. Office organization – Do you feel comfortable at the dentist’s office? Is it clean and neat? These are just a few ideas to keep in mind when looking for a dentist in Peterborough. With a range of dental services to offering a warm, welcoming office space, Lakeridge Dentistry hopes to create a lasting relationship with you and your family. Our dentists and hygienists look forward meeting you! Contact Lakeridge Dentistry to book an appointment. If you’ve visited our clinic before, we would love to hear your thoughts. Give us your feedback and help us serve you better. Send us your questions or concerns using the convenient eform on our Contact page.